Dutch act Kraak & Smaak drop the debut single from their upcoming album, ‘Juicy Fruit’, a collaboration with Grammy-nominated Mayer Hawthorne. 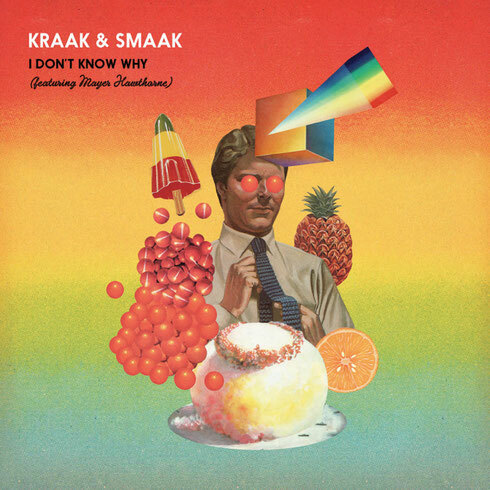 ‘I Don’t Know Why’ sees Kraak & Smaak throw down the gauntlet in a popping boogie track with the Tuxedo frontman delivering his sweet and catchy soul melodies over the top. Stirring up memories of early-80s discos, it aims to be a dancefloor killer. Complete with a big fat bassline, synth leads and funk guitar chops accompanying Mayer’s soulful notes - it’s a track that may leave you humming the melody for hours and contemplating a white suit with sleeves rolled up outfit. There is also a full on disco rework from Kon, who provides more evidence to back up Gilles Peterson’s claim that he is king of the edit/rework. Kon’s remix is a tasteful and grooving take on the original that is built for the club, sounding authentic and classy.